The cloudy atmosphere that has enveloped the nation political space in the last four weeks has subsided. Parties’ primaries have largely been concluded. Virtually all political aspirants have known the fates. Registered voters/delegates had eloquently spoken by making their choices. In all, the most striking and unforgettable was the outright rejection of Bukola Saraki by the PDP delegates as their presidential flag bearer in the forthcoming 2019 presidential election, at their October 6, 2018 Port Harcourt convention. In the election, he came a distant third, embarrassingly losing to Atiku Abubakar, the eventual winner, whose votes was five times, his, and Aminu Tambuwal, who came second and whose total votes also doubled his own. What an historic decision! What a resounding voices of Nigerians to reject an over-ambitious bigot and renowned megalomaniac, who always prepare to sacrifice just anybody, just anything, to get to position of authority! Who wouldn’t reject the leadership of a Marxist, who in fact sacrificed his own father, to achieve political glory! Who wouldn’t reject a self-ambitious Emperor, who devilishly collaborated with opposition parties, through several nocturnal meetings, to upturn the good plans of the party, which offered him platform for political victory! Who wouldn’t treated with a long spoon, a supposed member of a party, who used the same political office he attained, with the ladder provided by the same party, to frustrate the entire programs of the party, thus denying generality of Nigerians dividends of democracy! Who wouldn’t run away for a senate president who single-handedly closed the national assembly for upward of three months, in pursuance of vain glory and self-ambition! Even, the political goodwill, that he erroneous believes, he has built across the nation, through senators, who he selfishly pampered with juicy chairmanship positions and other allures of office couldn’t help him, as they all deserted him, when it mattered most. In his believe he probably thought Nigerians are fools and were not keeping watch of his ignoble activities in the national assembly. Nigerians electorates beam searchlights at their leaders irrespective of the party affiliations, so, a leader who constantly chose to sow the seed of discord and disunity, as well as failing the test of leadership, would always meet his waterloo. Obviously, now in his moment of solitude, he should face the reality that, his political kingdom does not extend beyond Kwara state and even, this perceived dominance, is in a short while. So, what’s the way out for the self-imposed Kwara political warlord? It’s certain, that curtain will soon be drawn on his tenure as senate president, on resumption of plenary sessions at the national assembly, so, his relevance at the national level, may likely comes to a close, except for him to hang onto ‘national leader’ of PDP status hurriedly conferred on by Uche Secondus. 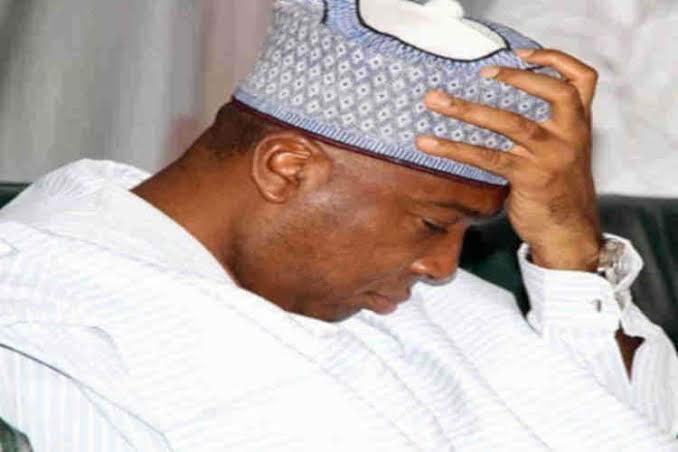 Will Saraki swallow his pride and return for political rehabilitation, to the duo of President Buhari and Asiwaju Bola Tinubu, the two leaders he has severally derided, insulted and disrespected in the recent past or will he return to Kwara to pick a reserved PDP senatorial ticket of Kwara central senatorial districts? He will prefer to opt for the latter, but, the challenge here is that; Kwara state has suddenly becomes attractive to APC and the party will do everything humanly possible to reclaim the state from the political vultures. Therefore, Saraki and his faithful should prepare for the toughest political battles of their life comes 2019.